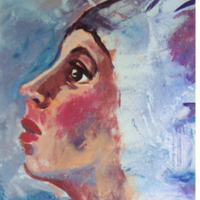 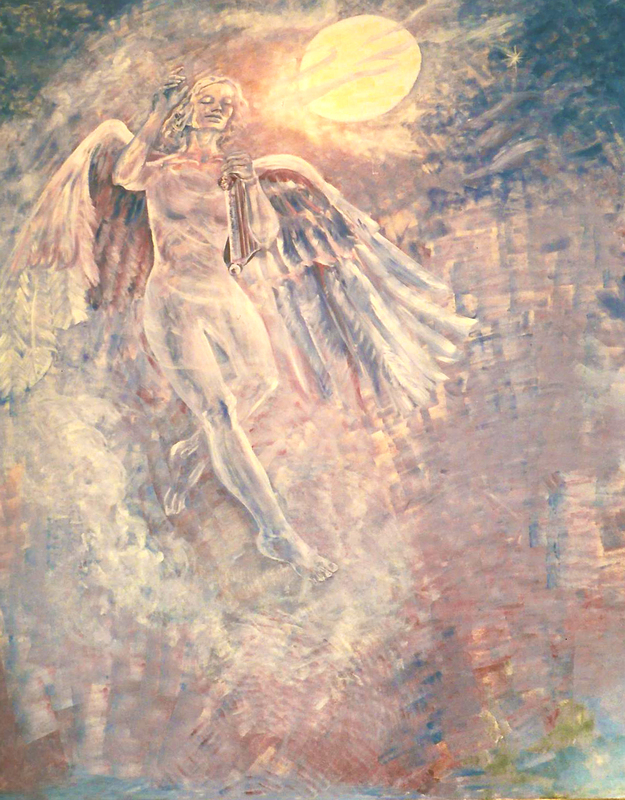 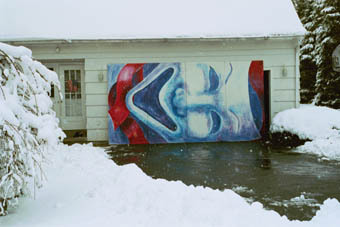 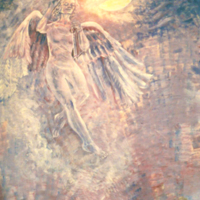 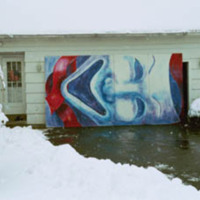 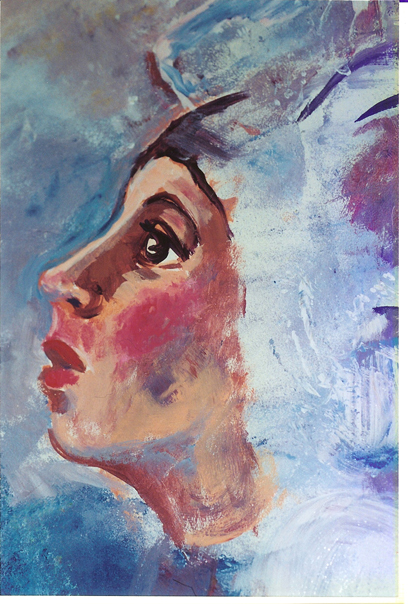 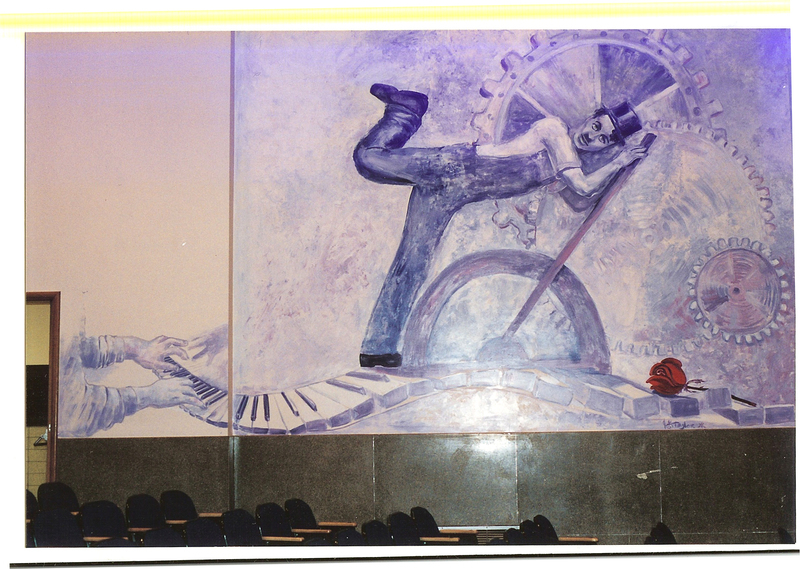 Jane Grace Taylor, “Strough Auditorium Theatre Murals,” Art Oneida, accessed April 20, 2019, http://artoneida.org/art/items/show/285. 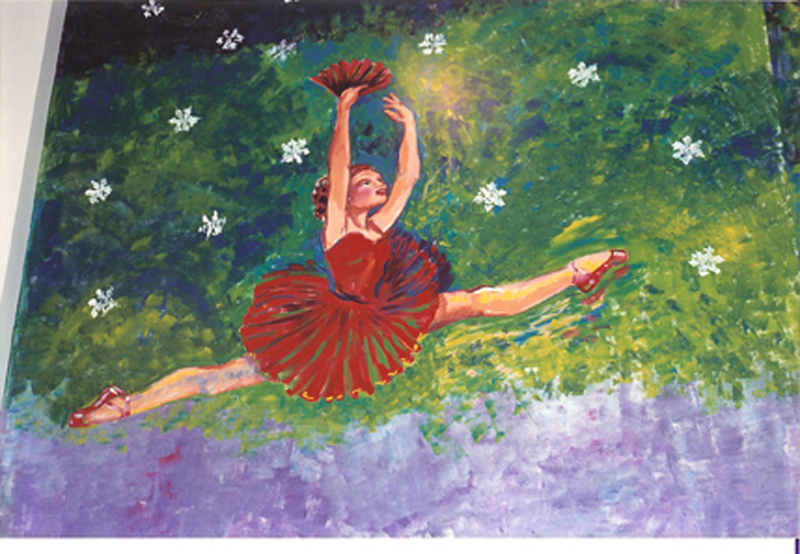 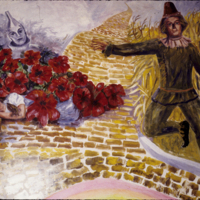 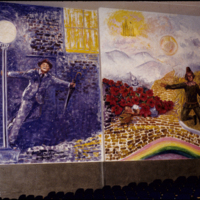 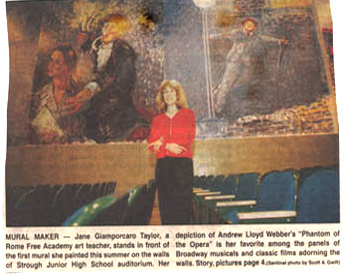 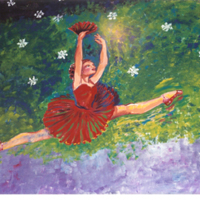 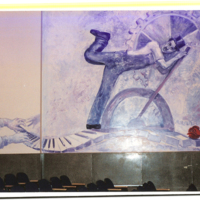 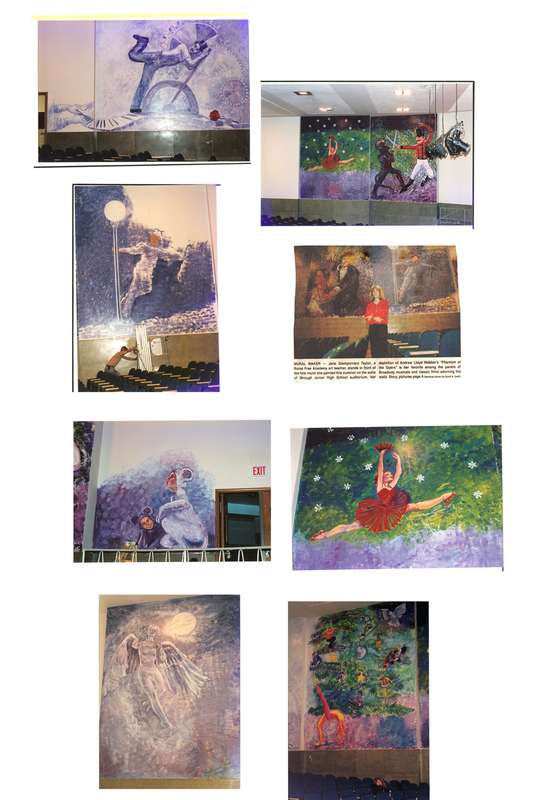 Description: The murals by Jane Grace Taylor in the auditorium of Strough Middle School in Rome portray several different notable scenes of dance, theatre, and film. 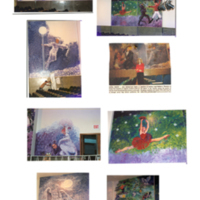 Several sections show the Nutcracker as performed in the theatre by the John Hayes O'neill School of Dance. 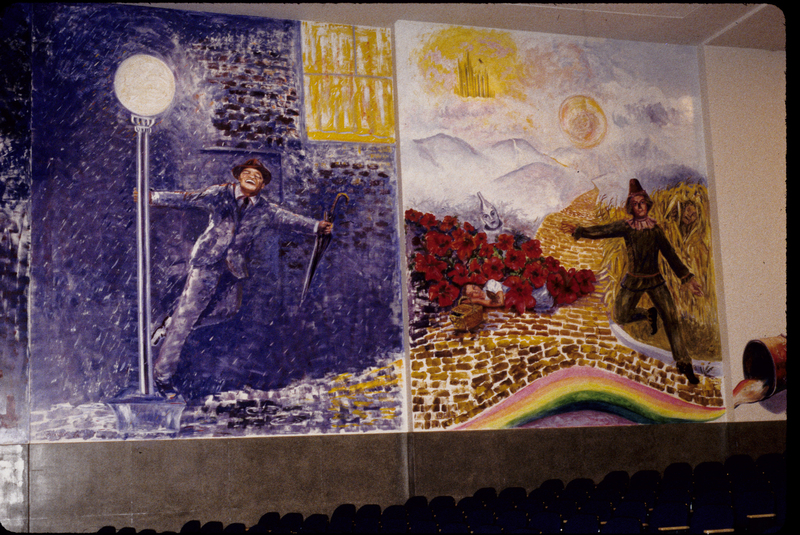 Others show Charlie Chaplin, the Phantom of the Opera, Gene Kelly Singing in the Rain, and characters from The Wizard of Oz. 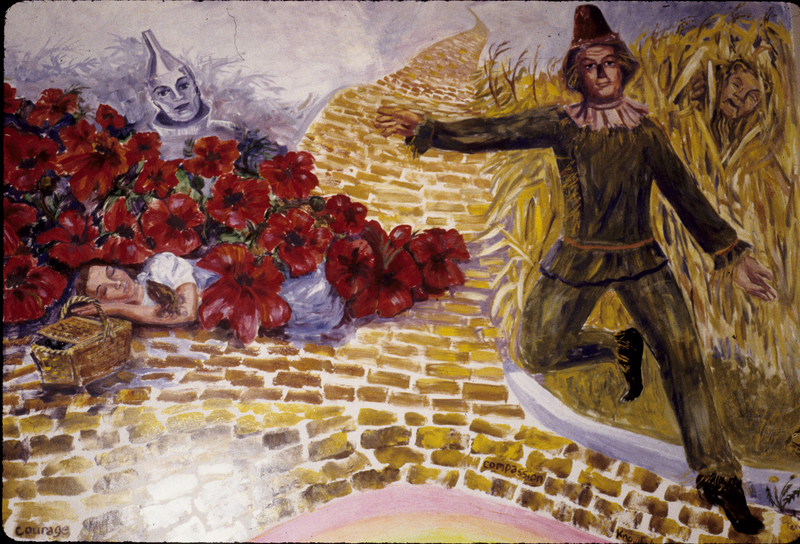 These works can only be viewed by the public at certain times: on voting days, for open school events, or by appointment. 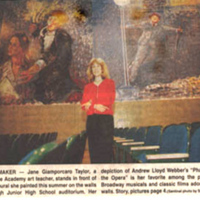 Of course, the children who attend the school get to see them all the time!